Missing millions: Des Moran's fortune has yet to be found. A SECRET underworld nest egg worth millions made from the illegal abortion trade and illegal gambling may have been stashed by lawyers without trace. Sources have told the Herald Sun the fortune was the legacy of Lewis and Des Moran’s mother, Belle Moran. The investment soared in value after it was placed into mortgage funds. The late Ms Moran was involved in illegal abortions in a house next to the Victorian County Court in La Trobe St, Melbourne. The abortion racket involved police corruption, which was uncovered by an independent inquiry in the 1970s. A source has told the Herald Sun a large sum of money was invested in the late 1960s. Before Lewis Moran was shot dead in 2004 as the gangland war spiralled out of control, he left his assets to his brother Des. It is not known who was in control of the fund – which was initially thought to have been buried – but several Melbourne lawyers are aware of its existence. Des, who never married, was shot dead in an Ascot Vale deli in June last year. A court has been told the beneficiaries named in his will were the children of slain gangland figures Mark and Jason Moran. His lifelong friend, Sandra Cummins, told Melbourne Magistrates’ Court Des Moran wanted to change his will just weeks before he was shot. Ms Cummins said he wanted to change it because the children did not visit him. Judy Moran was not a beneficiary. Four people are charged with Des Moran’s murder. Lewis’ estranged partner Judy Moran, Les Kane’s daughter, Sue Kane, her partner Geoffrey “Nuts” Armour and Michael Farrugia are all co-accused in the murder case. Police have tabled in court evidence Des Moran’s estate included a $500,000 half-share of an Ascot Vale property and a $150,000 life insurance policy. The Morans’ former lawyer Andrew Fraser said the cache would be in the range of $3 million to $5 million. But he said the original money would not have been invested by Belle Moran. He said most of it would be from Lewis Moran’s illegal SP bookmaking and would have been hidden after his death. “Whoever is looking after it, they would have claimed it by now,” he said. Horse racing identity Adrian Jones is the executor of Des Moran’s will. The will has not been put through probate and he has declined to discuss it. 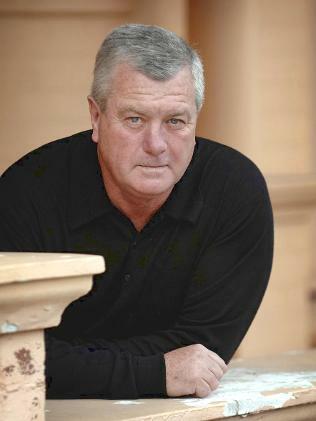 Melbourne’s Magistrates’ Court has heard Des Moran never got his hands on the secret gangland fortune, it’s whereabouts thought to have been told to him by his brother. A witness has told police Des Moran tried to find money that was supposed to be stashed in three places, but it was gone.